Lecture on Liam Gillick, Chto Delat?, Nicolas Bourriaud at the postgraduate colloquium of Offenbach University of Art and Design. 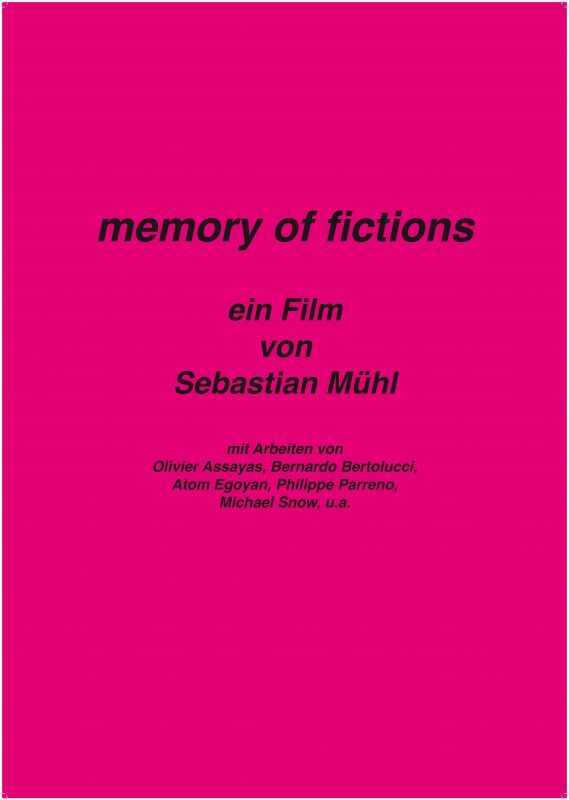 Der Film Memory of Fictions wird im Rahmen der Meisterschüler-Prüfung von Sebastian Mühl im Luru-Kino Leipzig gezeigt. The 5th. 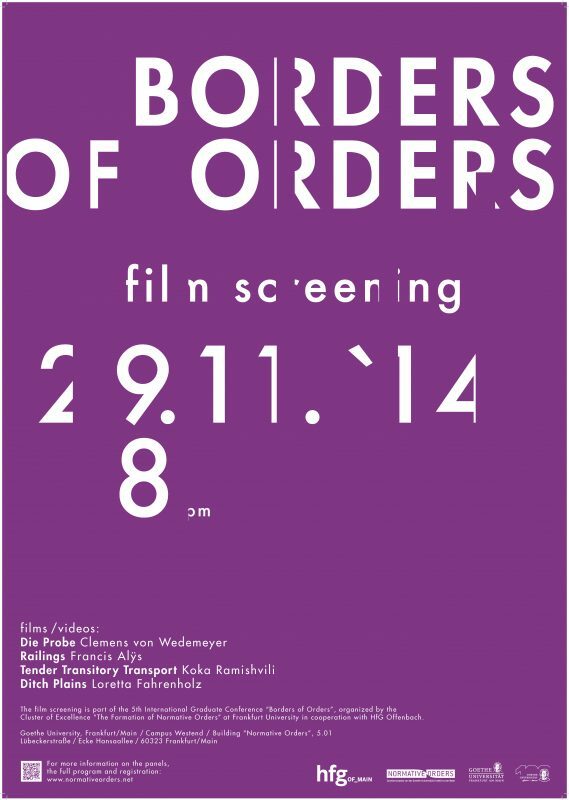 Young Researchers Conference „Borders of Orders“ at the Cluster of Excellence „Normative Orders“ at Goethe University Frankfurt/Main includes a film screening which is curated by Sebastian. It features films and video works by Francis Alÿs, Loretta Fahrenholz, Koka Ramishvili and Clemens von Wedemeyer.